If you’ve ever tried to buy a used car, then you know a bit what it’s like to try to buy a used saxophone: You have to be patient, lucky, and good at recognizing the differences between a donkey and a mule. 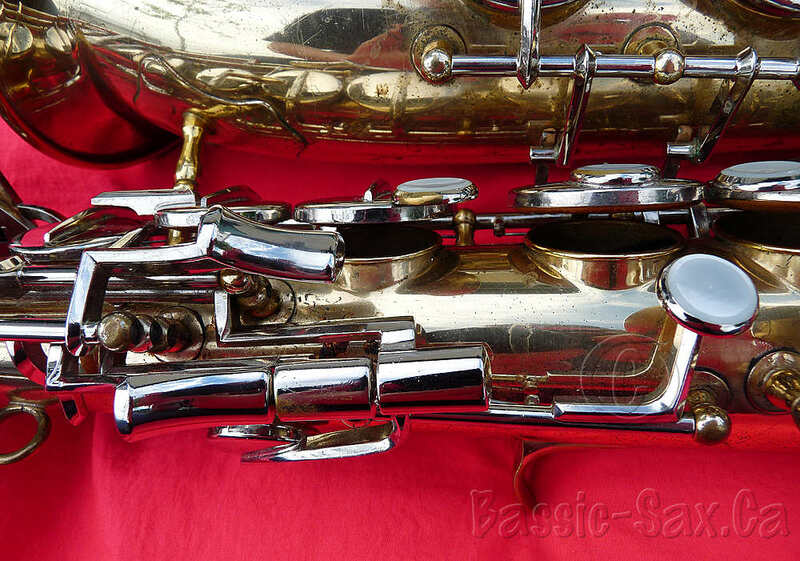 In saxophones, those differences can sometimes be very subtle. 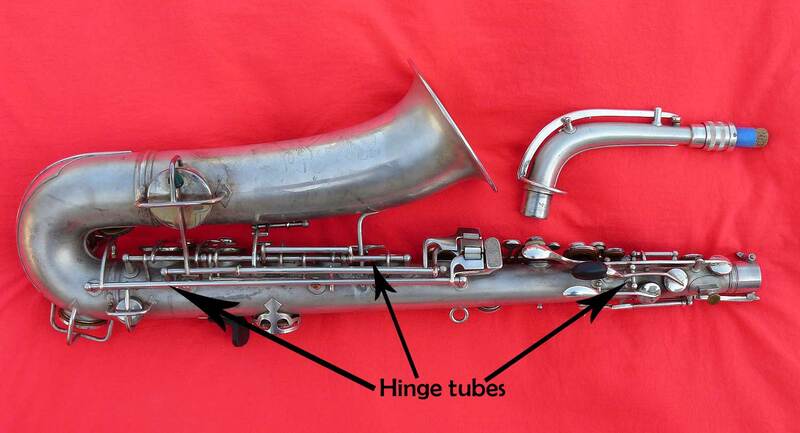 Saxophones are complex machines. In his book, Saxophone Manual: Choosing, Setting Up and Maintaining a Saxophone, Stephen Howard notes that the average saxophone is made up of about 250 parts (p.24), but I’m not sure if he’s counting the pads, felts, corks, etc. in that number or not. 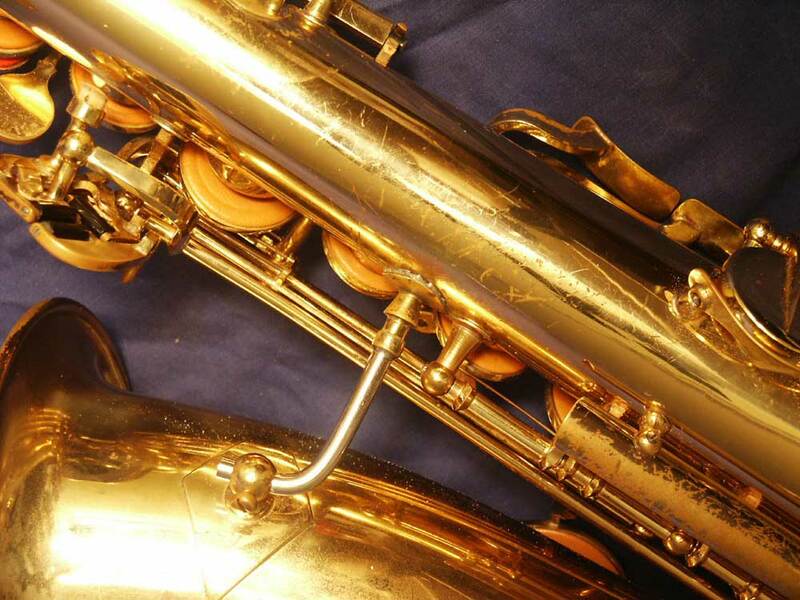 At times assessing a saxophone can be a real challenge, and even seasoned, cynical pros sometimes like to get a second opinion—especially when it comes to questions such as if a lacquer is original or not. 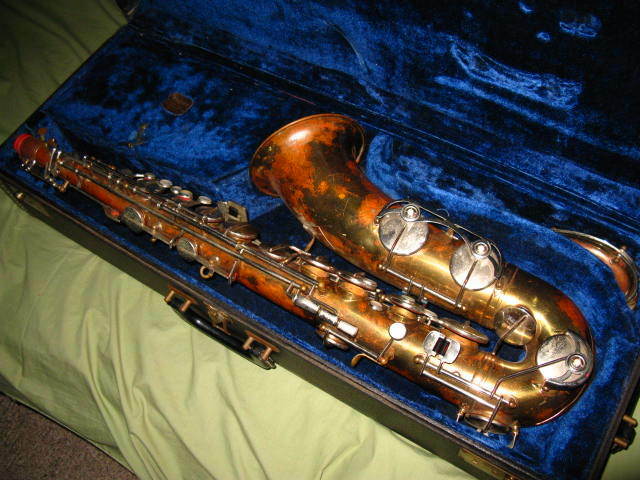 It doesn’t matter if you’re buying your sax through Craigslist; classified ads in a newspaper; a music store; or even eBay, any time you buy a saxophone, playing the horn before you lay down your hard-earned cash is always the best way to go. 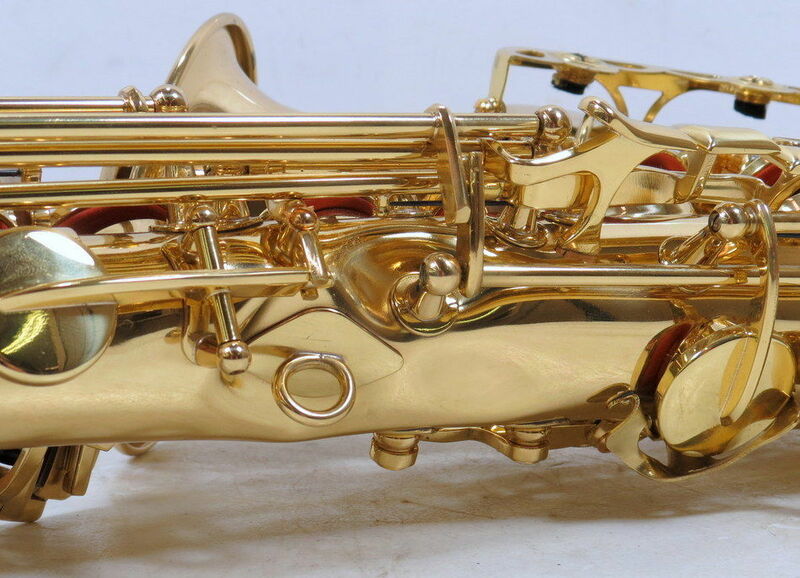 When you text, email, or phone the person about the saxophone, here are some of the questions that you really would want to have the answers to. Is the horn in playing condition? When was it serviced last? What was done during that service? Is there a model name engraved anywhere? What does all the engraving on the bell say? What kind of damage has it had in the past? Are there any dents on the horn? 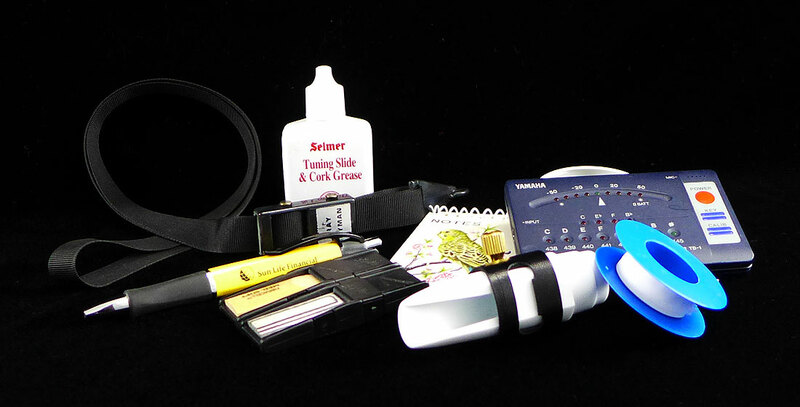 These are the things to take with you when you shopping for a saxophone. If that person is another sax player, even better. This will give you a second opinion on the horn, and give you a better idea of what the sax sounds like. 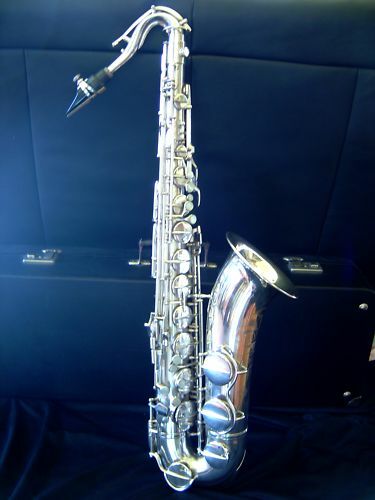 You’re finally at the place to be able to look at and play test the saxophone, but what should you be looking for? Does the case smell the minute you open it? Is the horn green, or have patches of green on it? Is it covered in red rot, or have patches of red rot on it? Silver plated, Martin Handcraft C Melody. 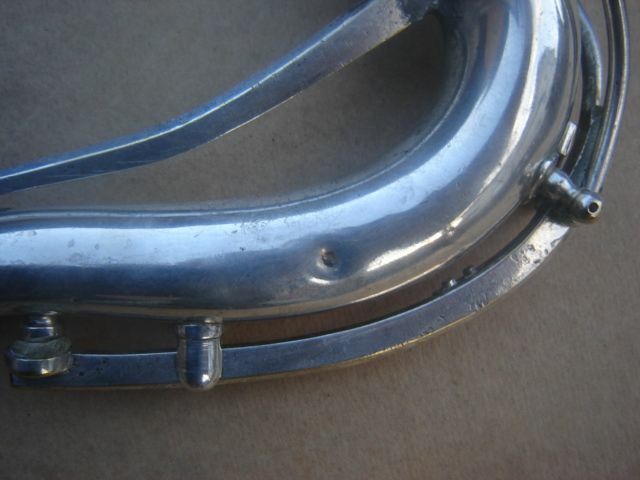 This horn is desperately in need of silver polishing. 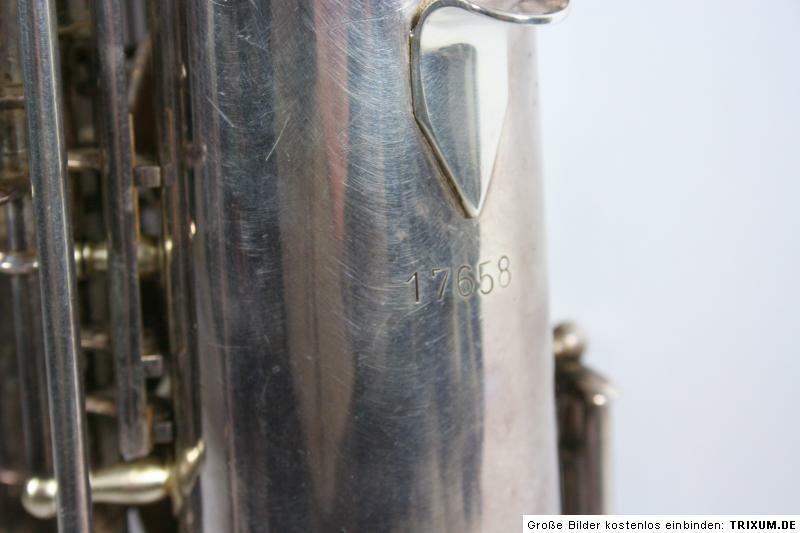 Saxes with scratched out serial numbers. This can mean that the sax is stolen! Any damage to the neck can have serious consequences on the tone and intonation. Ideally the neck should be free of dents and dings. 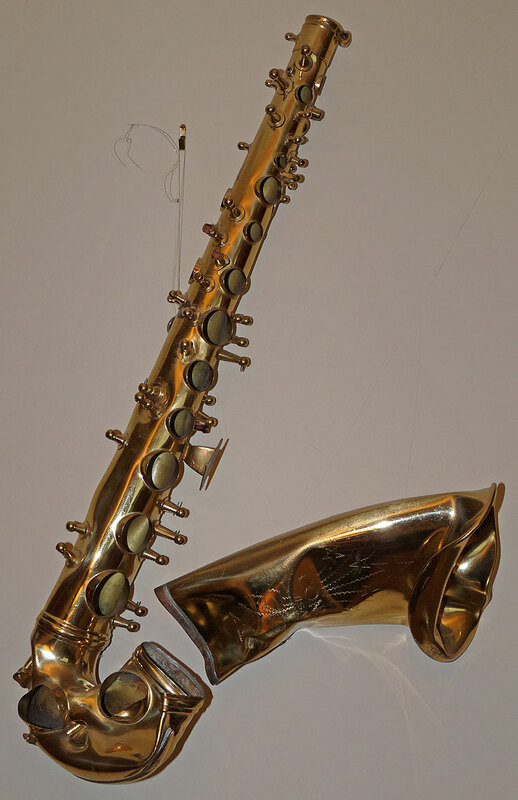 Necks can be repaired, but it takes a very skilled sax tech to do the job well. 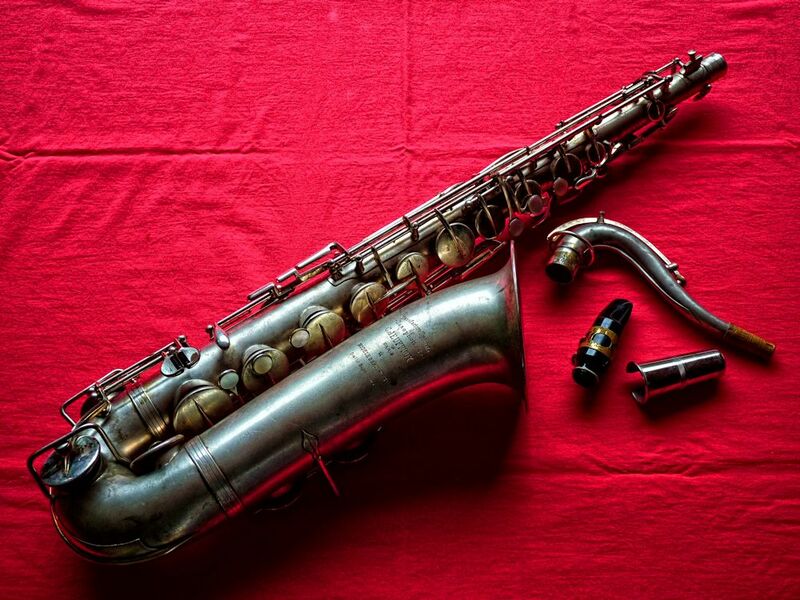 This is what it looked like after the late Steve Stransky, AKA Sarge, at World Wide Sax was done with it. It’s not pretty, but it’s smooth as a baby’s bottom now. Same neck after Sarge from WWS was finished repairing it. It takes a tech with the skills of someone like the late Steve, AKA “Sarge” Stransky, to bring a neck so close to dead, back to life. Does it have a neck? Is it original? For example, is it the right make and model to the horn? Does it have a matching serial #? Is the neck damaged, or was it damaged in past, like in a pull down? Any dents that go into the inside of the neck? 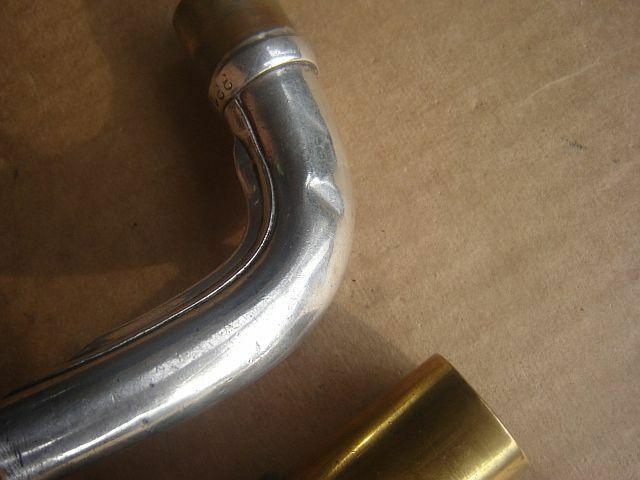 Dents like these are likely to go into the neck. Often you can tell by putting you finger into the neck and feeling for a bump. If the damage is beyond where your finger can reach, your tech can tell you for sure with one of his/her specialty tools. Are there any dents in the body tube? Are the dents 5 mm wide or less? 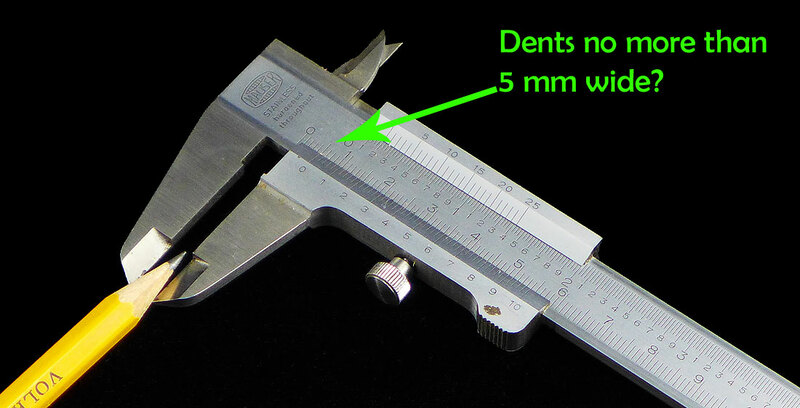 You don’t have to take calipers or even a ruler with you. If you have a sharpened pencil with you to take notes, this photo gives you a good reference point. Dents that are deep enough that they go into the body tube can cause swirls in the air flow, and lead to tuning and tonal issues. Where are the dents located? Dents around tone holes can be problematic, because they may cause pads to not be seated correctly, or worse, damage the tone hole. Notice the dent just below the tenon by the post. I picked up this Conn 6M for around $400 at a pawn shop. Despite having a bunch of dings and dents in it, it played amazingly. 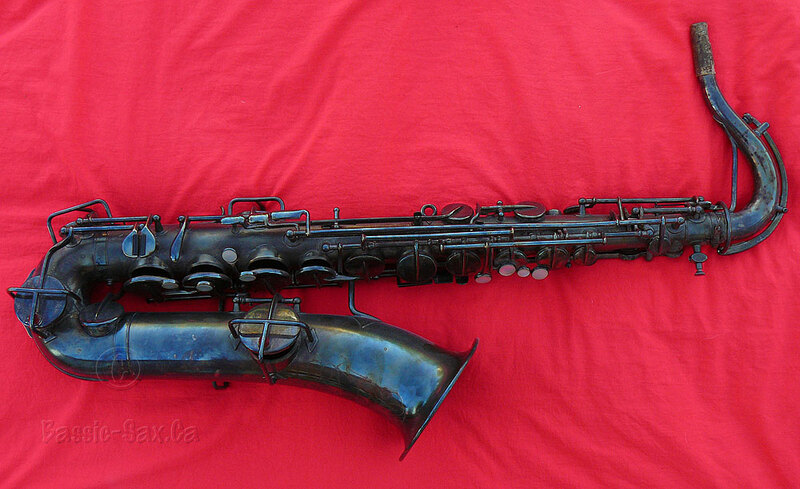 It has been my main alto for nearly 10 years now. My tech has removed the damage and the horn is nearly as good as new. Are any posts pushed in? Is there a bump inside the bell opposite to where the bell to body brace is? Is there a dent on the body tube where the bell to body tube attaches? 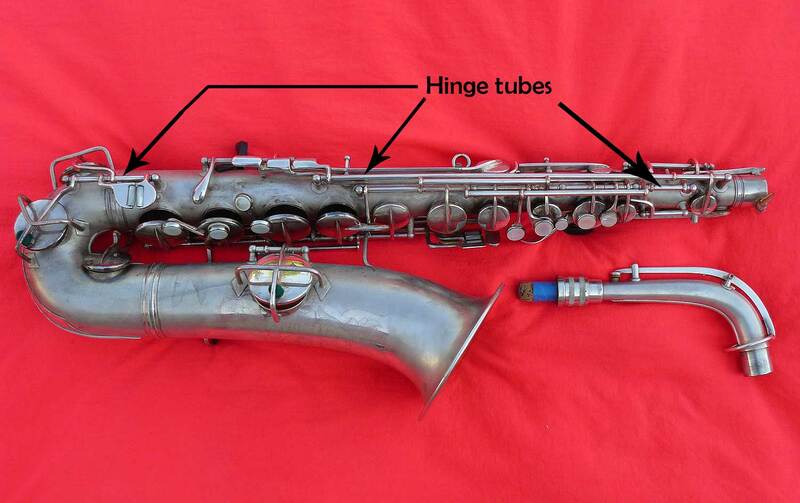 Either of these two things indicates that the sax was likely dropped in its case. Minor dings and dents on the left side of the bow are pretty normal as players bump the horn into chairs, etc, and usually don’t interfere with the tone. Is there any evidence of repaired damage on the body tube? For example, the lacquer shows signs of damage and almost seems to have lines that run up and down. What kind of tone holes does it have? Drawn or soldered? 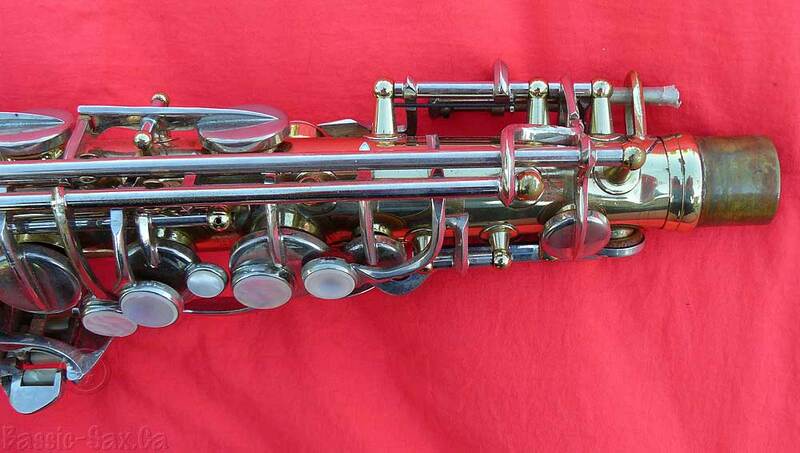 Soldered ones like those on Martin saxes can be prone to leaking, or even falling off, and require the skills of an excellent sax tech. Relacquered horns generally are worth less than ones in original condition. 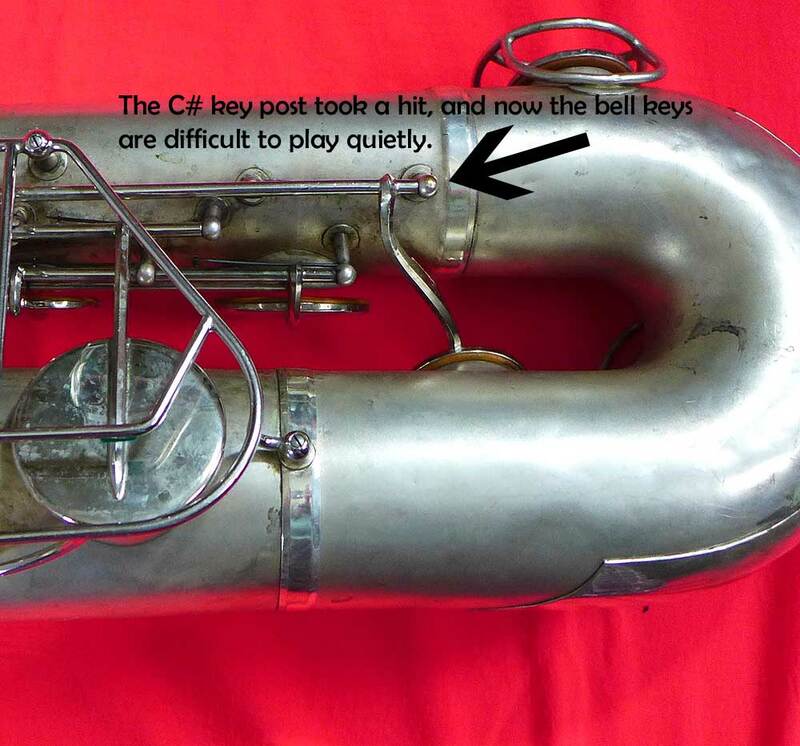 This is especially true if the horn in question is a Selmer. ID relacqs by: fuzzy engraving; shiny finish on a horn that doesn’t match its age; or lacquer overspray onto the pearl key touches. Really good relacs are sometimes hard to tell from original, because shops might re-cut the engraving. 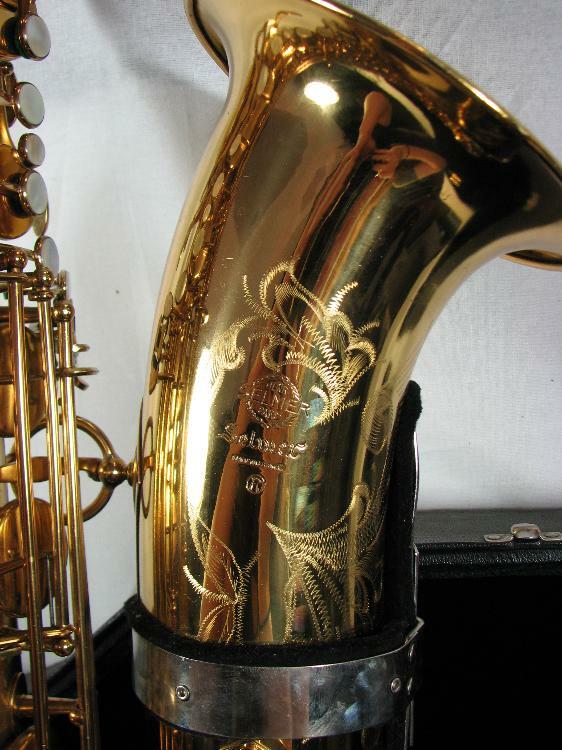 For example, Selmer Paris was known to relacquer horns for players. Those relacs are very hard to tell from the original. 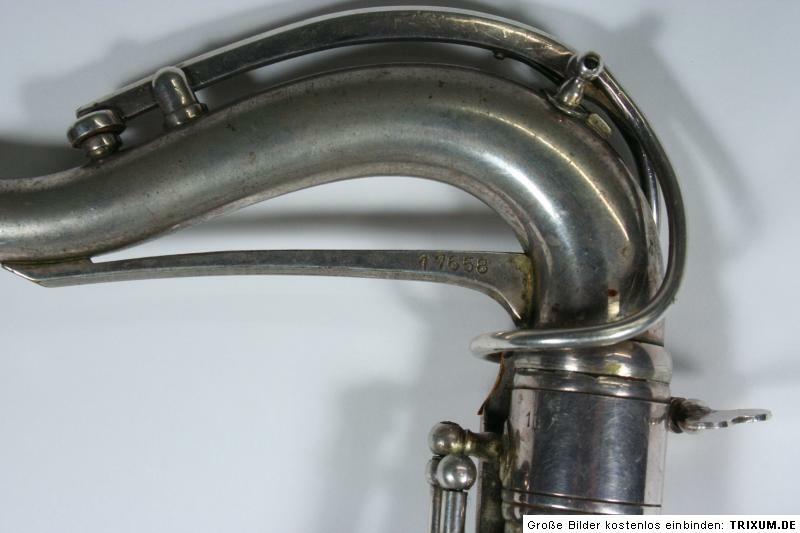 If the horn is relacquered, poorly done jobs may have damaged the tone holes. 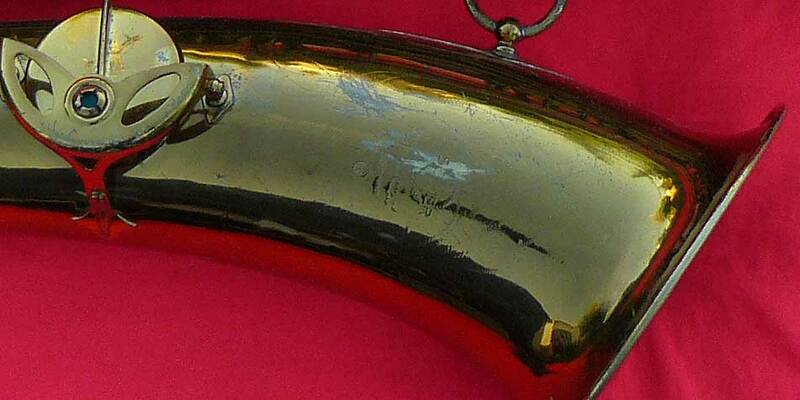 Silver, nickel, or gold-plated horns generally sell for more than lacquer ones. Move the hinge tubes up and down and side to side. If there is too much movement, this will have to be repaired, and should be factored in to your offer. NB: Vintage Keilwerths are especially prone to wear in this area, and because of their rolled tone holes, repairs are tricky. 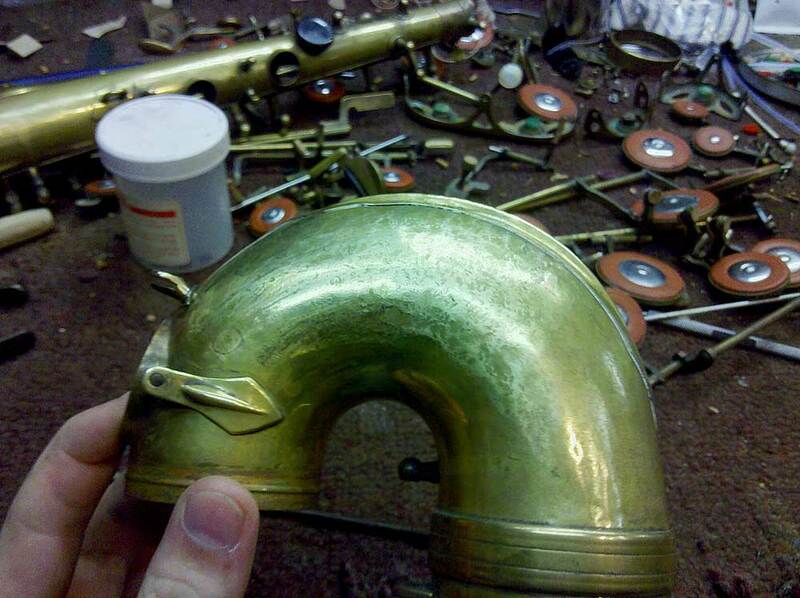 A really good sax tech is your best bet when faced with this kind of repair. What kind of resonators do they have in them? Are the pads and resos matching? Or is there a hodge podge of different kinds on the horn? Do you like the tone? Do you like, or can you live with the saxophone’s ergos? 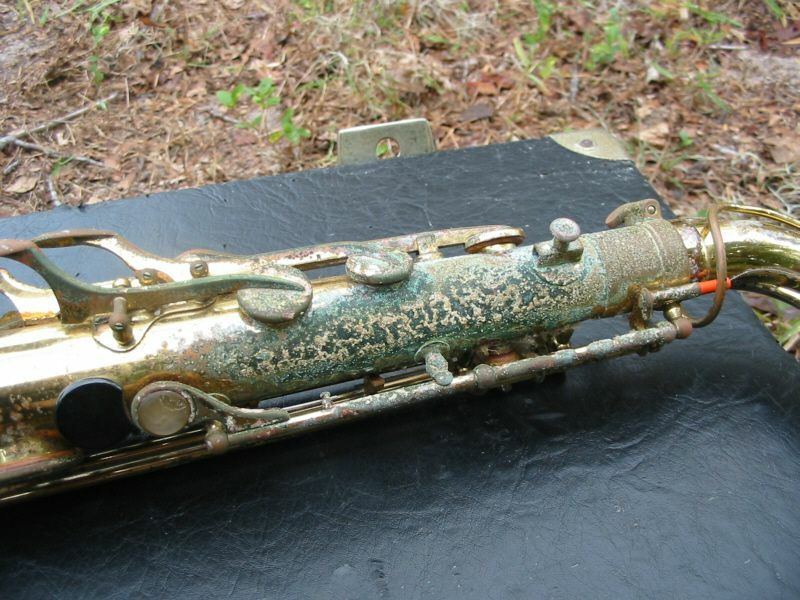 Can you see yourself playing this horn for a few years? Does it meet your needs? 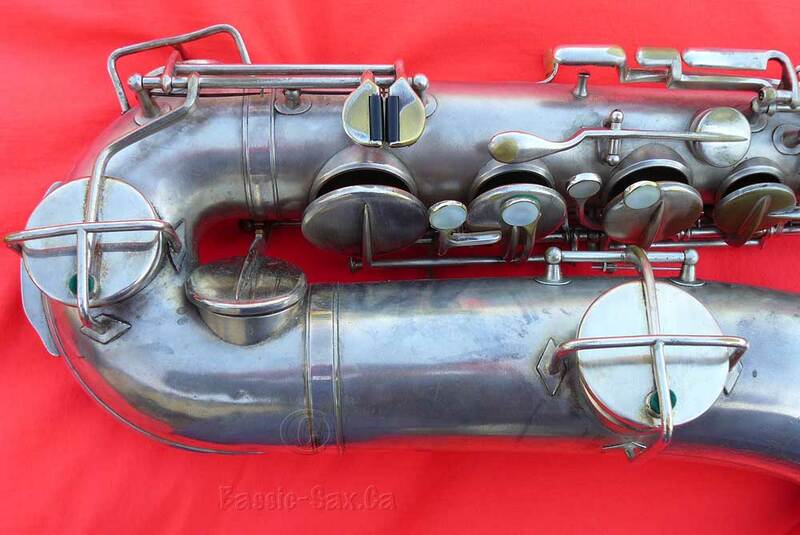 For example, are you buying a vintage horn for university, when you should be buying a new one instead? 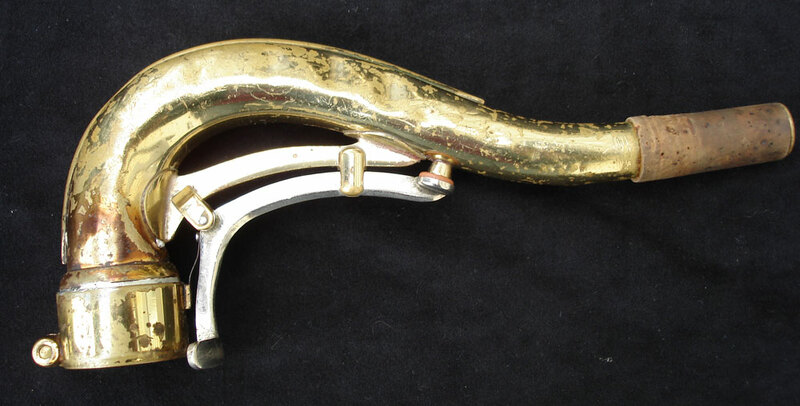 Or are you buying a high pitch horn when you in fact planning on playing current music with others? Yes, yes you do. And remember, there’s nothing wrong with asking if you can get your tech to look it over and giving his/her input—this is especially true if you are buying an instrument worth thousands of dollars. 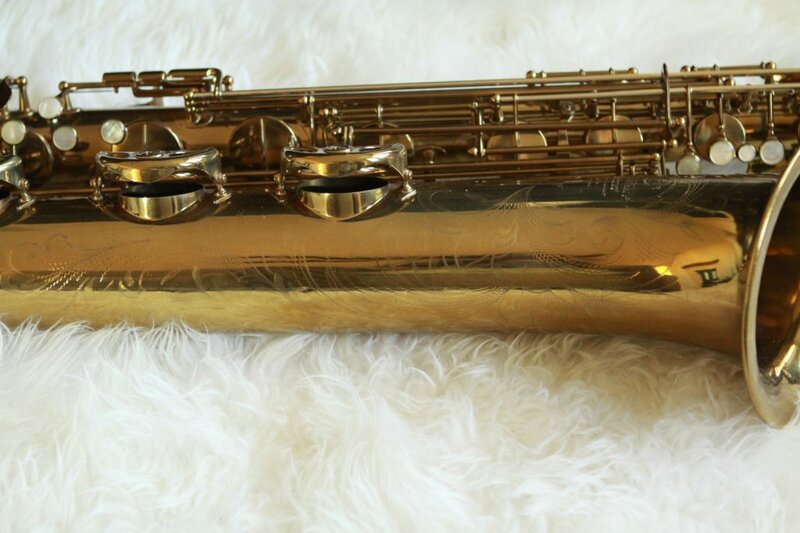 Thousands of dollars or not, buying a saxophone is always a very personal decision, and represents an outlay of your personal savings. My hope is that this article gives you some helpful tools that you will be able to use when you go out and try some used horns.